Do you have a set of letter manipulatives (or even just an alphabet puzzle?) Make the most of that simple letter learning toy with these five fun alphabet activities for preschoolers using just a single set of letter manipulatives. Be sure to check out the list of my very favorite letter learning toys at the end of this post, too! 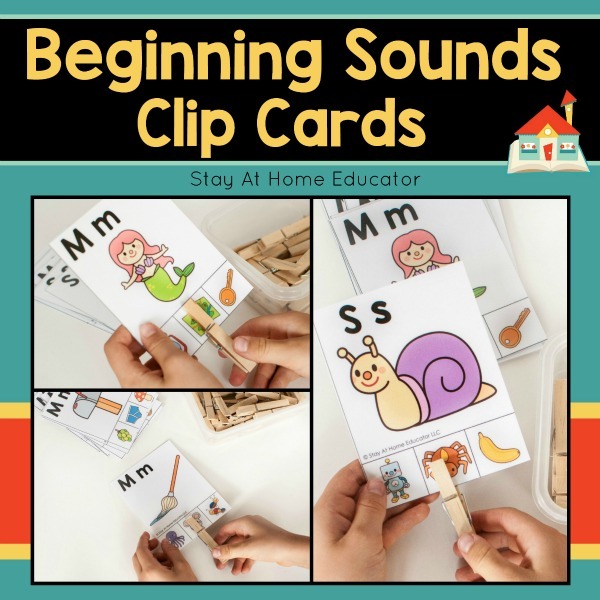 There are so many fun resources and toys to help kids learn the alphabet. From mini-laptops and tablet games to the very basic and “old school” alphabet puzzles, there are literally thousands of letter learning toys to choose from. And don’t we all like to have options?! 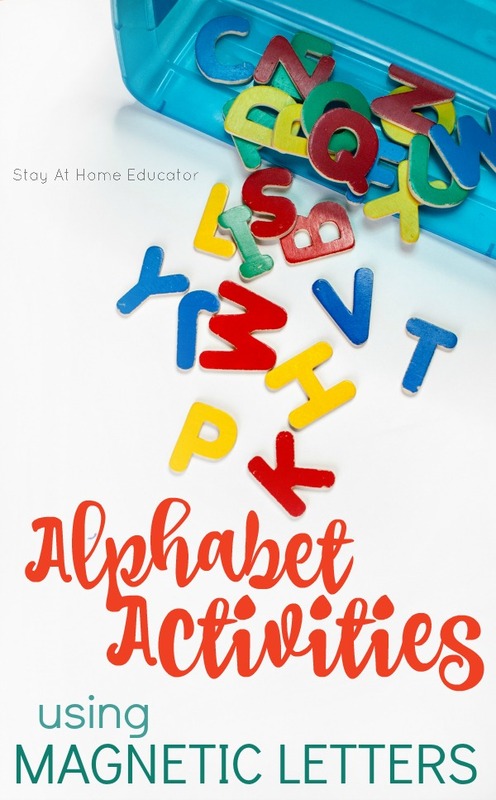 Admittedly, I have purchased my fair share of letter manipulatives and alphabet learning games so that my children and preschoolers have access to exactly what they need to learn the alphabet. But the truth is, I didn’t need all of it. You see, like most parent-teachers, I am on a budget. (Heck, that’s half the reason I started making alphabet printables!) Over the years I have donated a lot of learning toys to Goodwill, but there are some old stand-bys I keep because I can really make them work. I have about five different sets of letter manipulatives. Some are like tiles, some are magnetic, some are foam (awesome for the water table), some are beads (hello fine motor skills), and the last set are wooden dry-erase letters. Oh, and alphabet puzzles. A few of them. My point is that with just a simple set of alphabet letters, you can do lots of fun letter learning activities with your preschooler! These are simple activities that require nearly no prep, but my preschoolers adore them! I know this one is a given. Like those long alphabet train puzzles, you can use letter manipulatives to guide your child through the alphabet. Choose either upper or lower case. 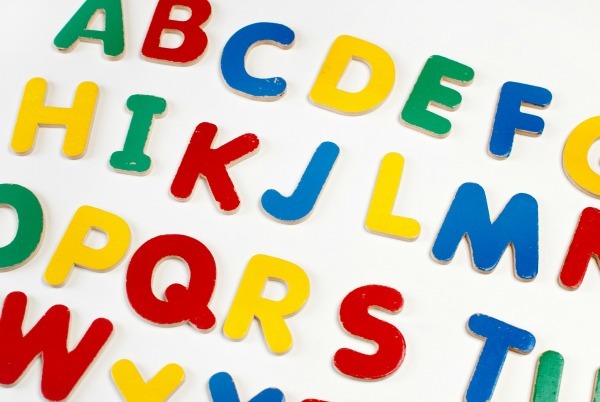 Lay out the letters so they are visible, and ask your child to arrange the letters in alphabetical order. Most preschoolers will do this by singing the alphabet song. For younger learners, do the alphabet in chunks, rather than all at once. To challenge older learners, start in the middle of the alphabet. I discovered this activity by accident. I was laying out the upper case letters and without thinking I was laying them in a line. My son said to me, “Mom! That’s not how you do it! 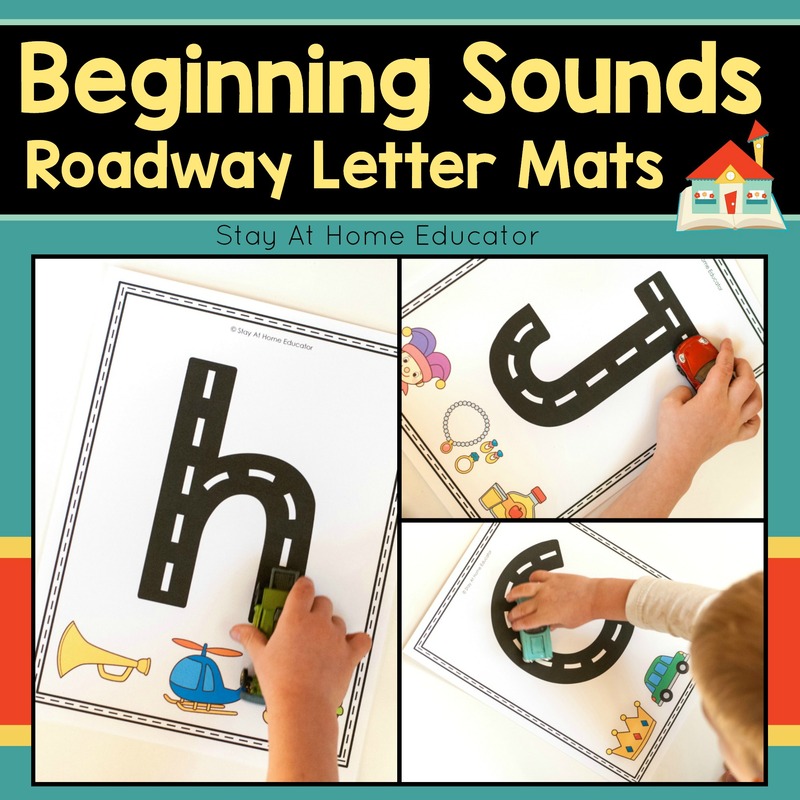 You start with letter A!” This gave me the idea to leave the letters mixed up, and invite my son to sing the alphabet song with me as the mixed up letters were arranged. What great practice in letter identification! For a lesser challenge, sing the mixed up alphabet in chunks using letters from your child’s name. For a greater challenge, have your child try doing this activity with lower case letters. This is a common activity for math, but it is also fun alphabet activity. 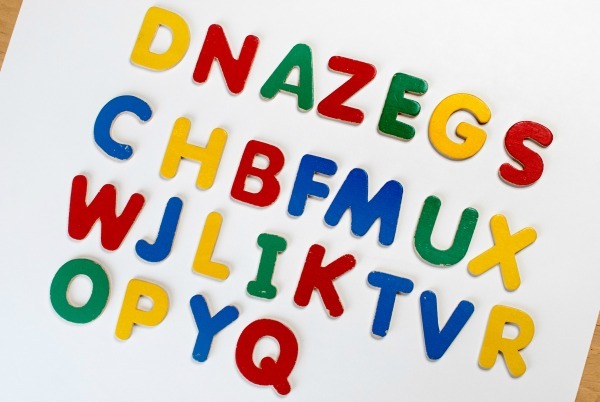 Invite your child to arrange the letters in alphabetical order, using only upper or lower case. Then ask your child to close his eyes while you remove one to five letters spaced throughout the alphabet, such as e, g, and t. Be sure to leave the space where the letters were so your child can more easily identify which letters are missing. Challenge your child to fill in the missing letters. For the greatest challenge, remove letters that are next to each other, such a k, l, and m.
This one can even trick an adult! Quick! Look at the photo below and see how fast you can spot the mixed-up letters! It’s super fun if your preschooler can “trick” you! Invite your child to arrange the letter manipulatives in alphabetical order. Ask your child to close his eyes while you select two letters, side by side, to mix up, such as switching letters j and k. Then, invite your child to find the mixed up letters. I find that singing the alphabet song while pointing to each letter helps. 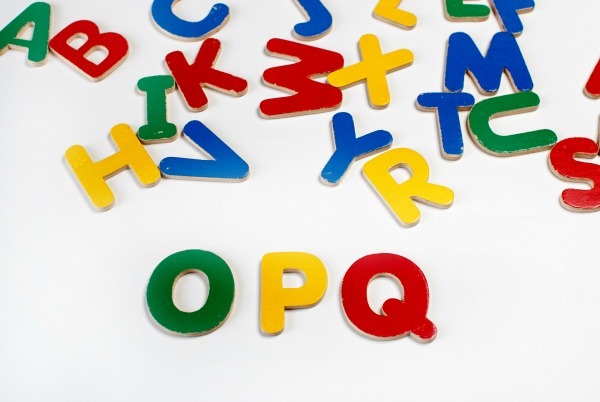 Select a small section of the alphabet and lay out those letters in order, such as o, p and q. Leave the rest of the letter manipulatives laid out for your child to see, but in random order. 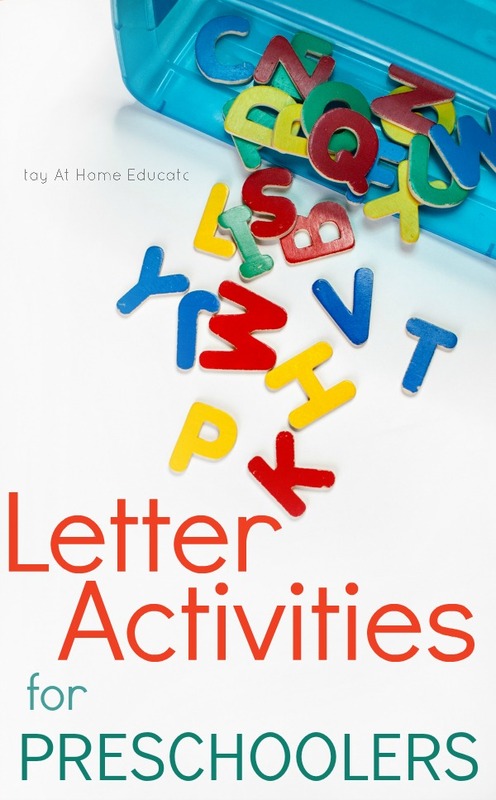 Invite your child to find the letter that comes before the selected letter set and after. 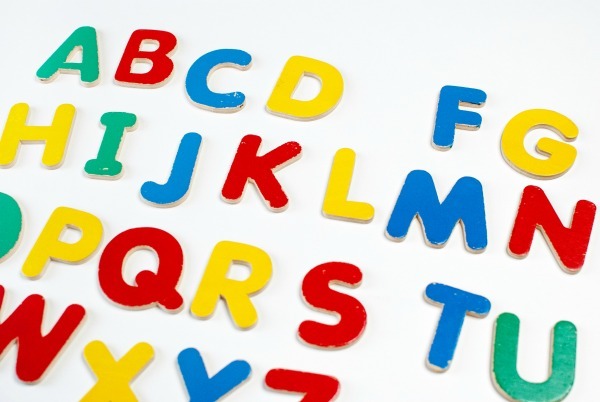 For younger learners, choose a smaller set of random letters to choose from, rather than the entire alphabet. For a greater challenge, have your child find the next two or three letters that come before and after the set. 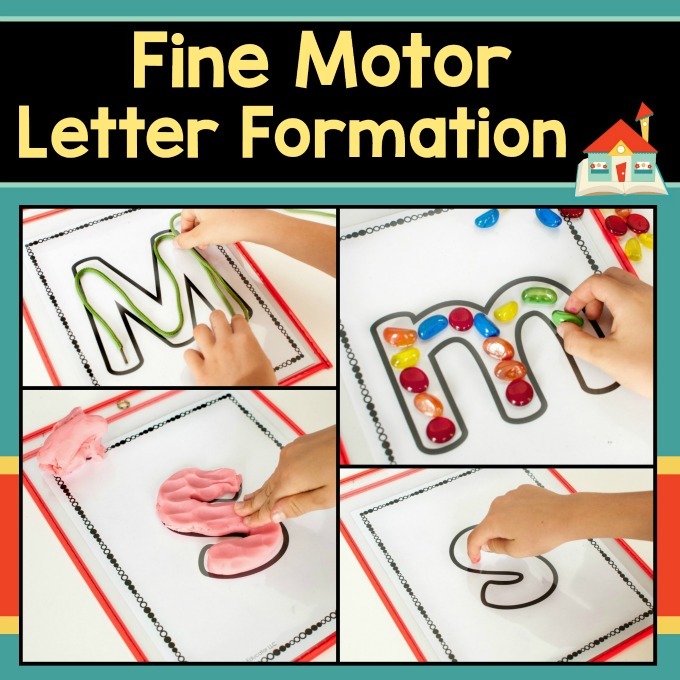 What I love about these alphabet activities for preschoolers are that they only require a single set of letter manipulatives, something we probably all have. And like I said, if you don’t, then just use an alphabet puzzle! No need to have a walk-in closet full of educational alphabet learning toys. (Although I agree that sounds a little dreamy). You can do a lot with what you already have on hand. I’d love to hear your comments about how you like to use letter manipulatives! 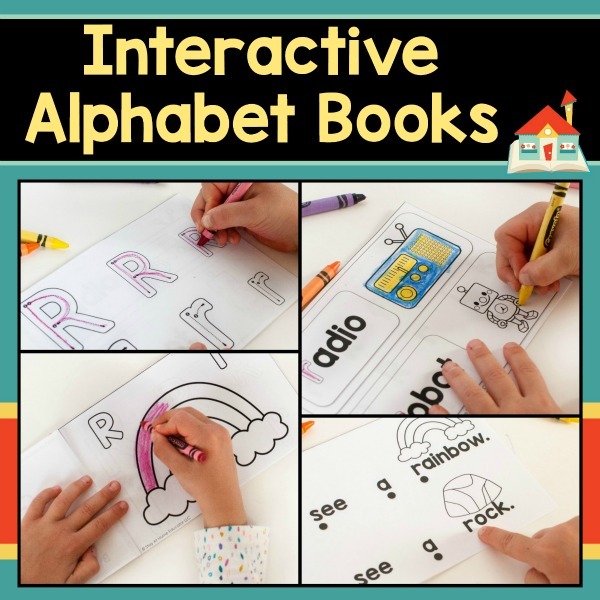 Looking for more Alphabet Activities for Preschoolers? You might be interested in some of these!